You could say that Iowa State head coach Fred Hoiberg‘s departure to the NBA has been the world’s worst-kept secret, but his eventual plan to return to the professional ranks wasn’t. Named head coach of the Chicago Bulls earlier today, now is the time to look back on Hoiberg’s college coaching career and recognize his legacy as an offensive innovator willing to gamble on players with checkered pasts. His keen ability to combine the two resulted in the Cyclones becoming one of this decade’s most successful programs. 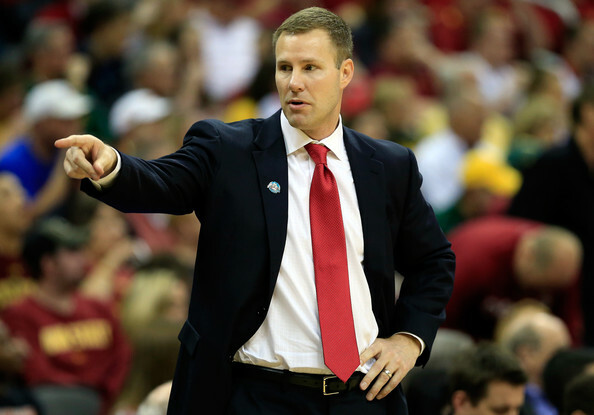 Fred Hoiberg didn’t take long to revitalize a downtrodden Iowa State program. Following the heyday of the Larry Eustachy era, it was a mystery whether Iowa State would again become a consistent winner. The program had fallen on hard times after Eustachy’s untimely exit from Ames in 2003 — a mixture of poor on-court results with alcohol addiction off of it — and churned through two more head coaches between 2003-10, with just one NCAA Tournament berth to show for it. While it sounds crazy in hindsight, athletic director Jamie Pollard’s move to bring Hoiberg home in April 2010 was viewed as a significant risk by most in the media. Nearly all coaching moves are gambles to some extent, but Hoiberg came to Iowa State with zero head coaching experience at any level and, despite his enormous local popularity, many were uncertain whether he could revitalize a program that had suffered four straight losing seasons and hadn’t won more than nine conference games in any year since 2001. Brian Otskey (@botskey) is the NCAA Tournament’s East Region correspondent, which begins Friday night at Madison Square Garden in New York City with Iowa State vs. Connecticut followed by Virginia vs. Michigan State. The South Regional Reset and the West Regional Reset published yesterday, and the Midwest Regional Reset earlier today. Make sure to also follow @RTCEastRegion for news and analysis from New York throughout the weekend. 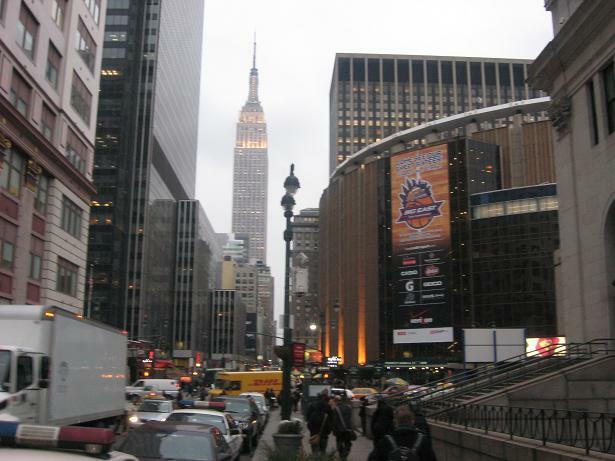 Madison Square Garden will host the NCAA Tournament for the first time since 1961. New Favorite: #1 Virginia. You can conceivably make an argument for any of the four teams to come out of this region and advance to Arlington but I picked Virginia as the favorite when the brackets came out so there is no reason I should change at this point. Could the Cavaliers lose to Michigan State? Of course they could. But they have been the better team this year and earned that #1 seed for a reason. The Wahoos got the top seed jitters out of their system in a closer-than-expected opening round encounter with Coastal Carolina and proceeded to dispatch Memphis in methodical yet impressive fashion on Sunday night. With a stifling defense and an offense better than most observers give it credit for, top-seeded Virginia remains the team to beat in this region. Horse of Darkness: #7 Connecticut. 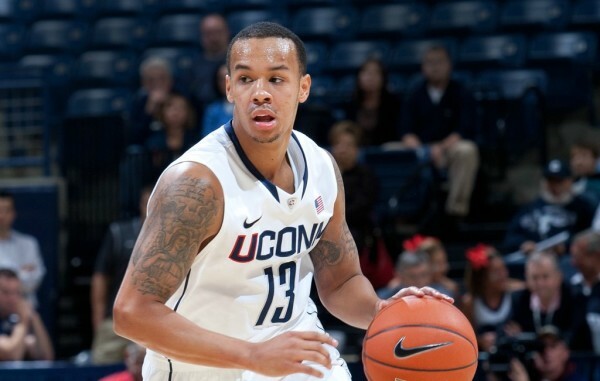 The Huskies survived St. Joe’s and dismantled Villanova in the second half on Saturday night thanks in large part to the Shabazz Napier Show (25 points). Connecticut is back at Madison Square Garden for the first time since winning the 2KSports Classic this past November, a place where it has been highly successful over previous years in the Big East. This team may very well have the biggest fan presence of the four teams in this region given the school’s proximity to New York and history of success in the building. It is never wise to count out a team with a star player and intangibles going in its favor, despite being the lowest seeded team remaining in the region. NC State, Duke and North Carolina all lost over the opening weekend of the NCAA Tournament in excruciating fashion: NC State led essentially the whole game before slowly relinquishing a 99 percent safe (according to kenpom.com) lead in the final four minutes to Saint Louis; Duke’s stars failed to produce en route to also blowing a 90 percent safe lead in the final five minutes to a double-digit underdog; North Carolina made the round of 32, but never got a last shot (presumably to win the game) because of a hesitant clock operator. Let’s take a deeper look at all three. 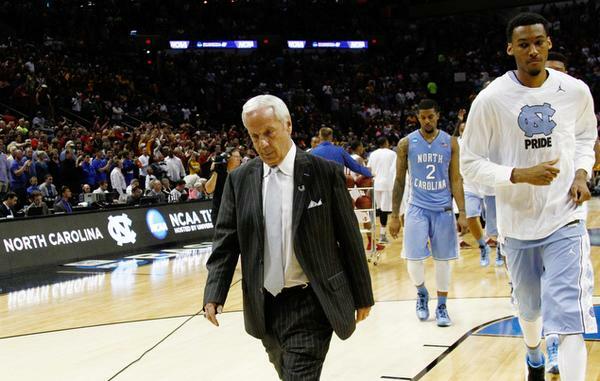 There’s no sugarcoating the NC State loss. It was brutal to follow. Drawn out and essentially feeding on itself (each missed free throw made the following ones even more difficult), it was just the toughest collapse to watch. Truthfully it was the worst collapse in a very long time. No one finished watching that game thinking that the better team (at least at this moment) had won. The Wolfpack dominated the first 37 minutes before Saint Louis got desperate and reached into the well-worn halls of NC State history for Jimmy V’s relentless fouling strategy. It worked. The Wolfpack made eight of 18 free throws in the final 2:44 of the game, while the dormant Billikens offense jumped to life, scoring 16 points over the same span (19 points if you count Jordair Jett‘s and-one with three minutes left that started the comeback). That was just shy of a third of Saint Louis’ offensive production over the first 37 minutes. Unsurprisingly, Jim Crews’ team went on to win in overtime after Tyler Lewis rattled out the would-be game winner at the buzzer from (gulp) the free throw line. Good luck finding a more drawn-out collapse. The Big 12 was considered by many to be the best conference in the country this season, and that might have been validated when seven of its 10 schools made the NCAA Tournament yesterday. The 70 percent acceptance rate was higher than any other conference, and as Wendell Barnhouse at Big12sports.com points out, it is the only power conference without a team seeded lower than ninth. As Committee chairman Ron Wellman explains to Barnhouse, Big 12 teams playing so many top-50 RPI teams this season helped improve resumes and likely pushed a potential bubble team like Oklahoma State into the field. If you like NCAA Tournament committee conspiracy theories, Gregg Doyel has an interesting article here on just that topic. Other than the NBA Draft, the NCAA Tournament selection and bracketing process brings out as many conspiracy theorists as any sporting event. Doyel brings up a few interesting points in this year’s bracket, namely that #1 seed and untested Wichita State will potentially face an underseeded #4 Louisville team just 90 minutes from its campus in the Sweet Sixteen, while #6 seed Baylor gets two de facto home games in San Antonio in the first two rounds. Me? I don’t buy them. There are so many interesting potential match-ups (Wichita State vs Kansas State in the Round of 32, as Doyel also points out) that you’re going to get a few of them. The law of averages tells us that. Besides, when the committee had the perfect chance to put Border Civil War members Kansas and Missouri against each other in the Round of 32 last season, #1 seed Kansas was in the South region while #9 seed Missouri was in the Midwest. No conspiracy there. Seven-seed New Mexico quickly became many people’s upset pick when a potential rematch against #2 seed Kansas became a possibility in the Round of 32. And with the way the Jayhawks have been playing without Joel Embiid in the lineup, it certainly makes sense. Kansas beat New Mexico 80-63 back in December thanks to Embiid’s 18 points, six rebounds, and four blocks, and as Rustin Dodd points out, the Lobos are hot right now. Ten-seed Stanford isn’t, however, and the Cardinal looks to be a better match-up for Kansas in the round of 32. ESPN’s Eamonn Brennan takes a look at all 68 teams in the NCAA Tournament and puts them into categories ranging from bracket busters to favorites, and a few places in-between. 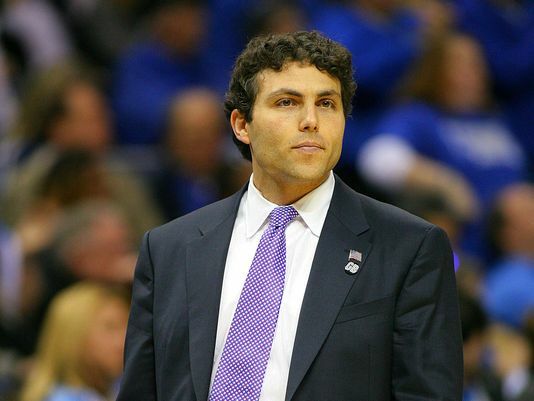 Kansas State, Texas and Baylor fell in the “High-Major Meh” category, and it’s hard to argue with him. I don’t see any of those three teams surviving the first weekend. He has a little more faith in Oklahoma, thanks in large part to head coach Lon Kruger. Kansas is just outside the “Favorites” group because of the uncertainty of Joel Embiid’s back injury. One of the best players in the Big 12 is preparing for the first NCAA Tournament game of his career, and it has been a long time coming. But I’m not talking about freshmen Andrew Wiggins or Marcus Foster. 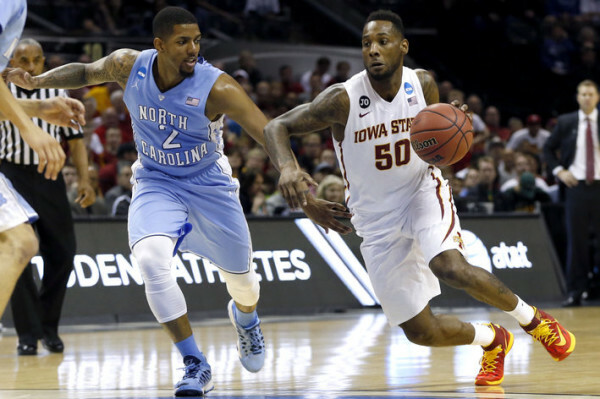 Rather, Iowa State guard DeAndre Kane played four seasons in relative obscurity at Marshall before transferring to Iowa State for a fifth season. He led the Cyclones to the Big 12 Tournament championship and a #3 seed as the Cyclones have become a trendy pick to advance to the second weekend and beyond.